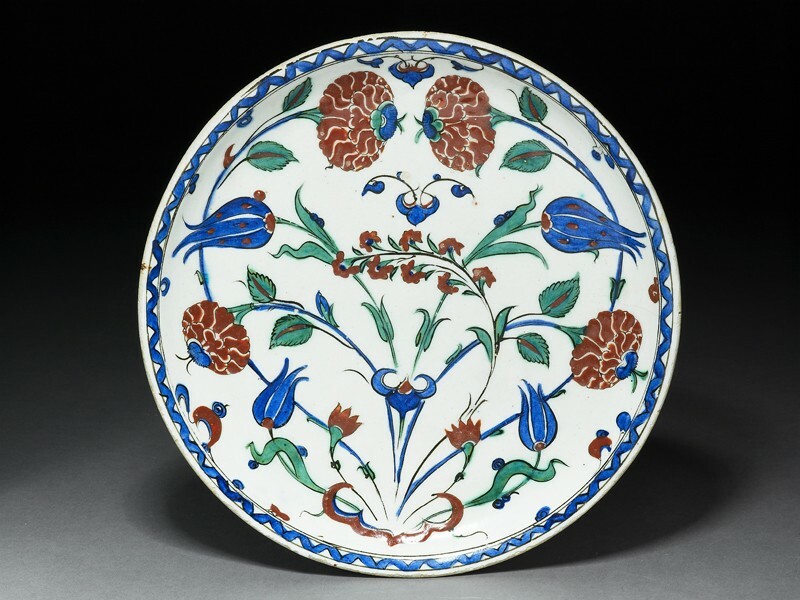 At the peak of their power in the 1500s and 1600s, the Ottomans ruled over a vast empire that threatened both its European neighbours to the west and its Islamic rivals in the east. 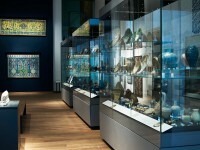 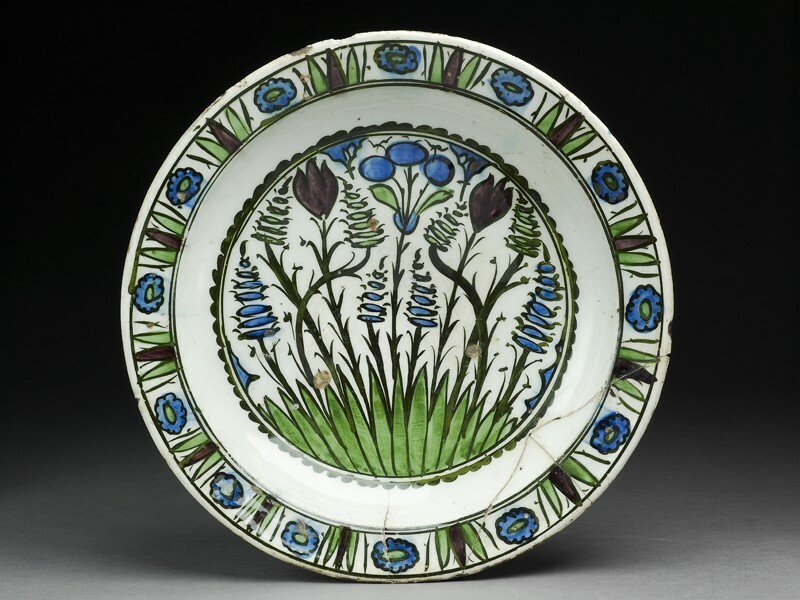 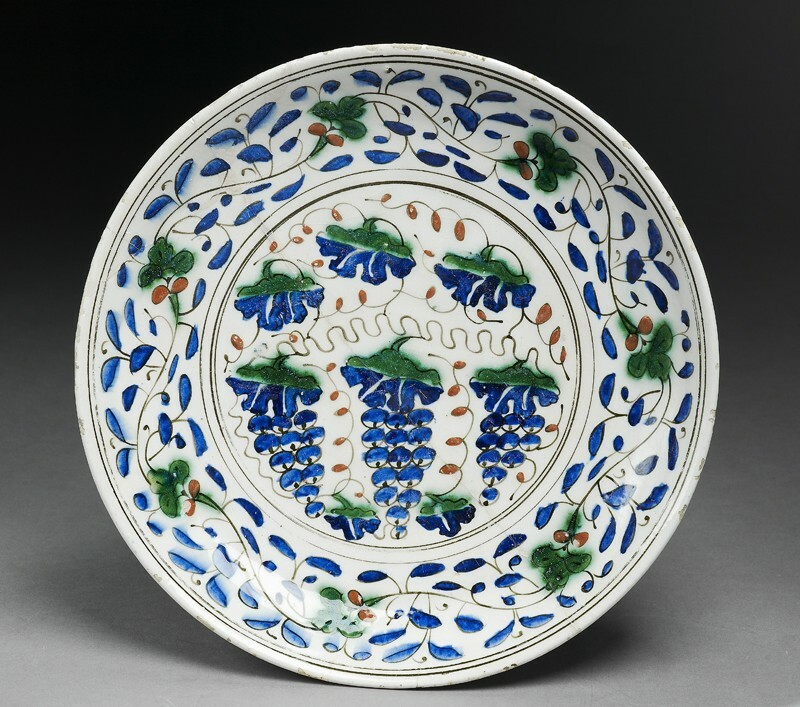 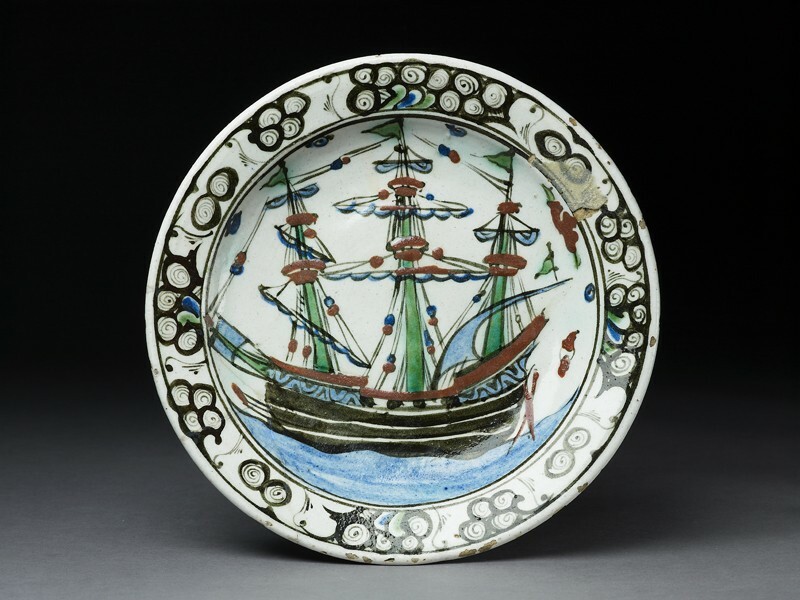 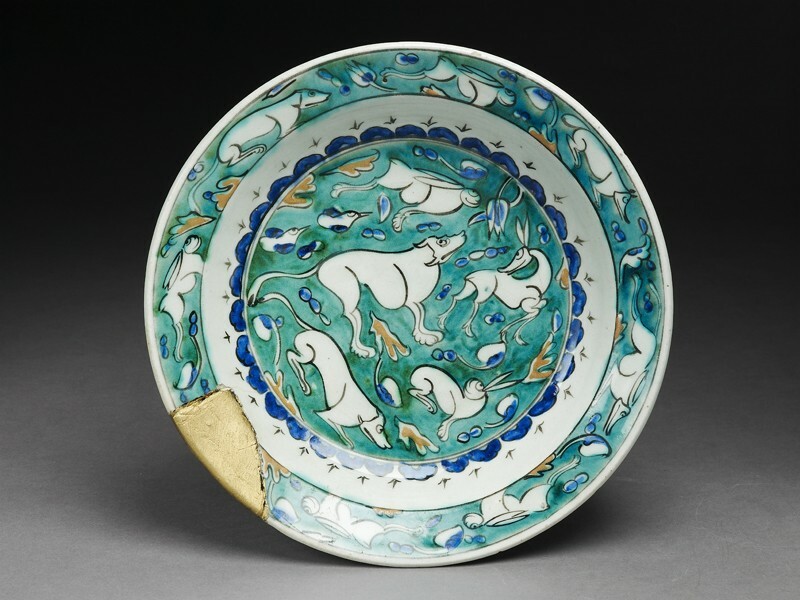 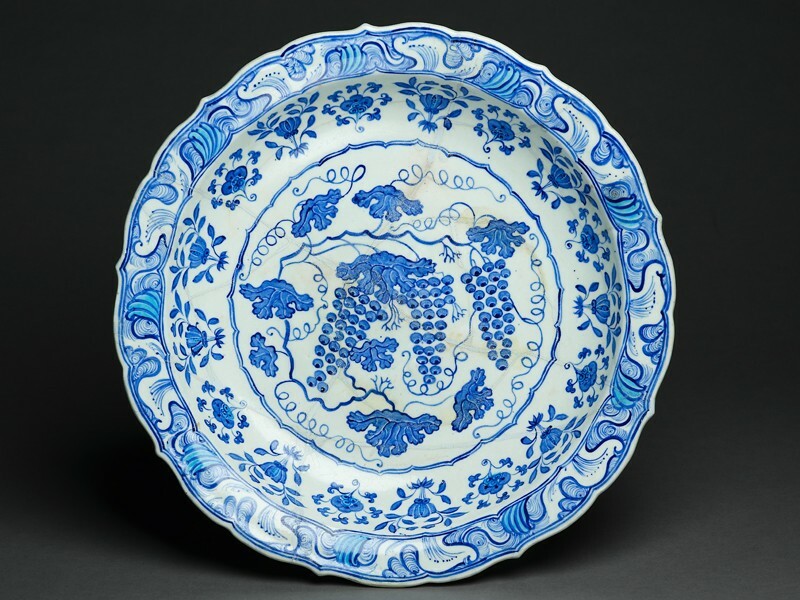 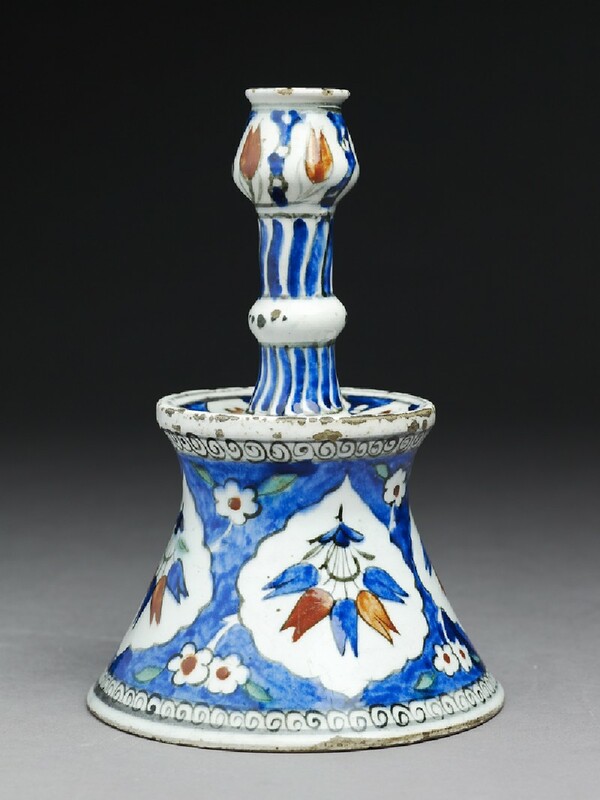 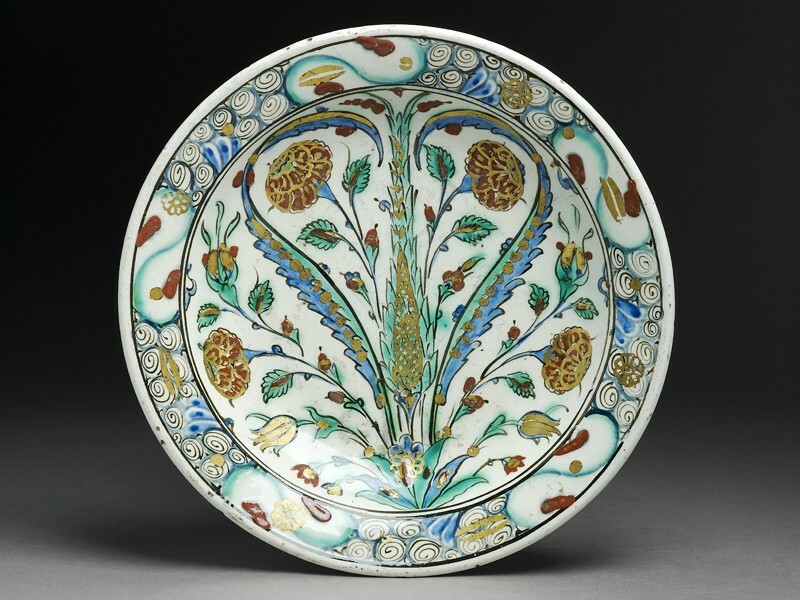 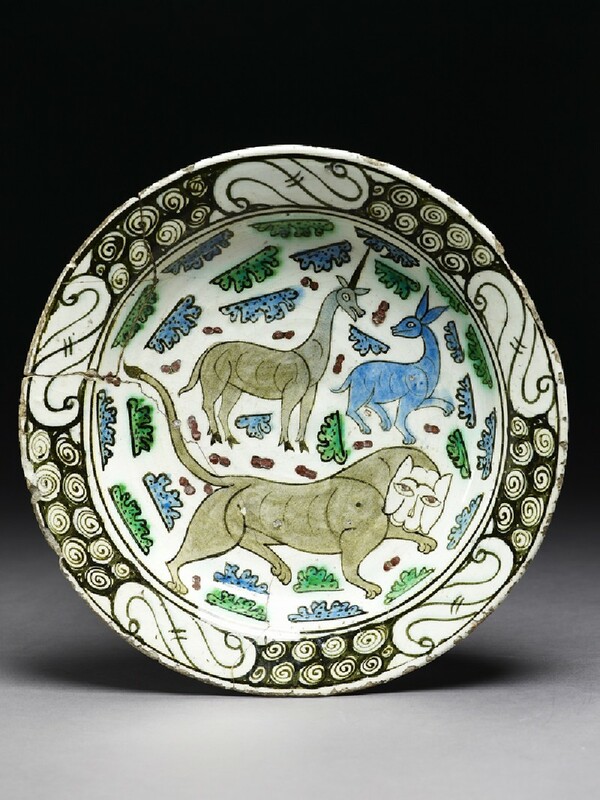 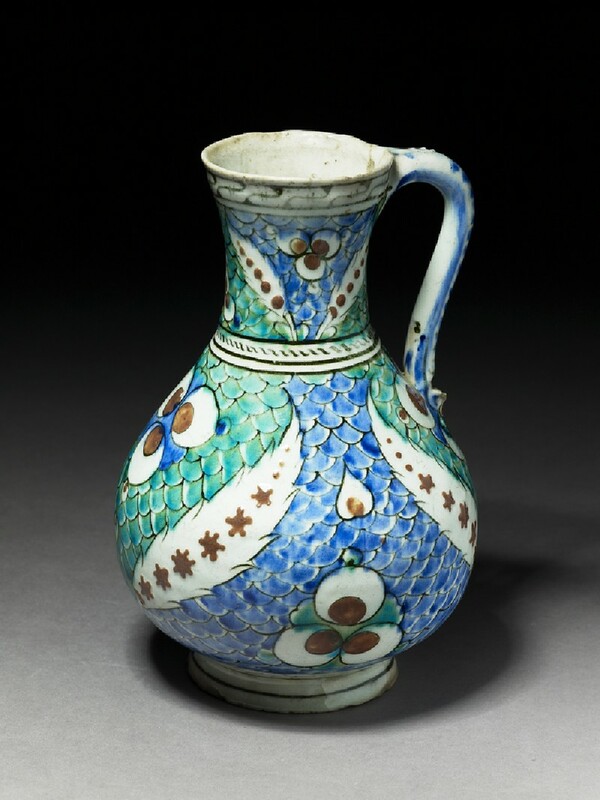 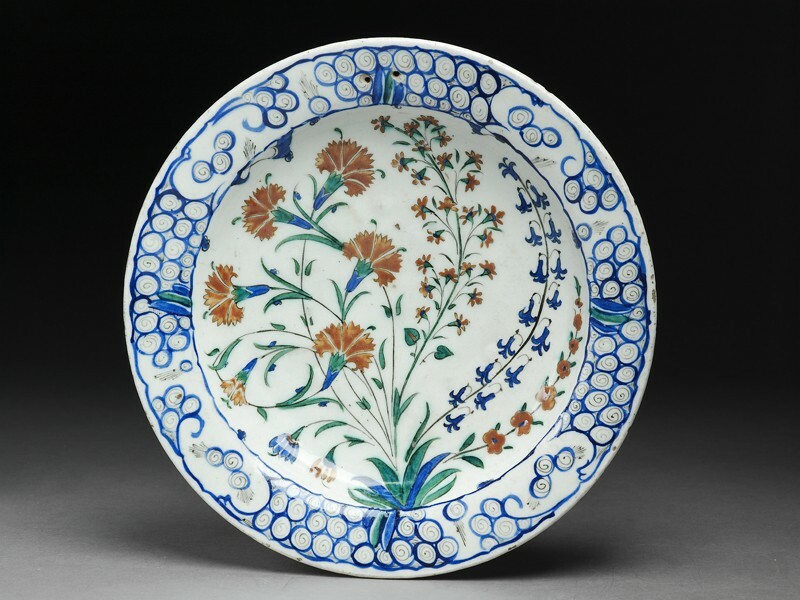 From the late 1400s, the potters at Iznik in Ottoman Turkey had begun to develop a unique and refined kind of ceramics, which served both the court and the market. 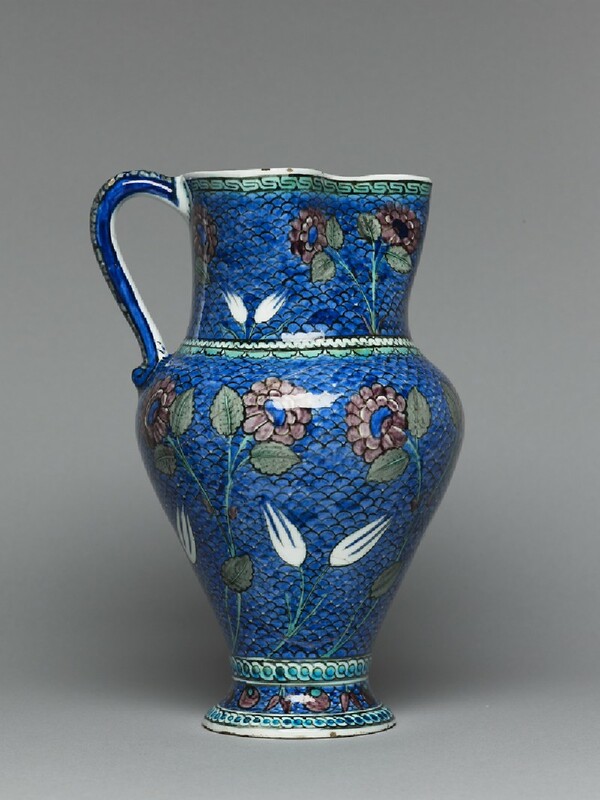 They employed a frit body rich in lead, and developed vibrant new colours. 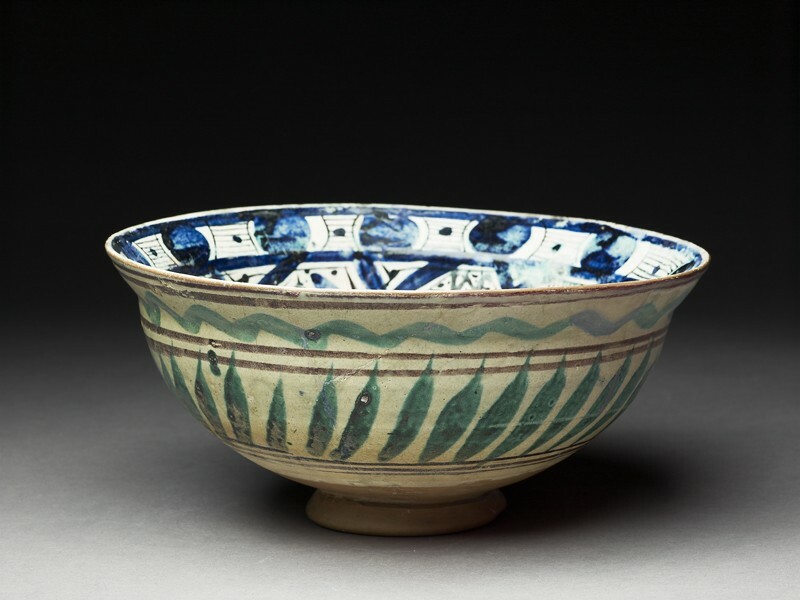 To the initial blue-and-white, they gradually added turquoise, green, purple and the distinctive bole-red, which remained in relief.